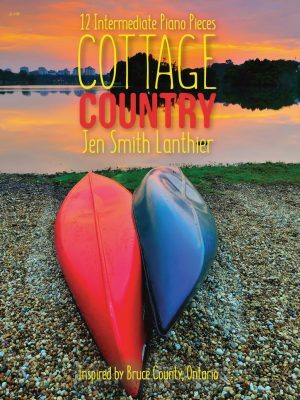 Cottage Country (12 Intermediate Piano Pieces) is a charming collection of reflective pieces from the composer’s experiences growing up in Bruce Country, Ontario. 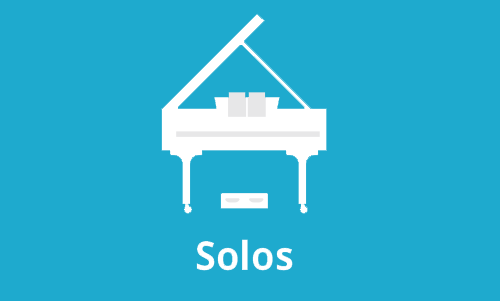 The eleven solos and one duet range in style from ballads such as Sauble Sunset and Southampton Song to rag (Ring-billed Rag) and blues (Break Wall Blues), as well as impressionistic (Lunar Eclipse) and romantic (Moonlit Paddle). The duet Snowfall on Saugeen is a gentle character piece with shared melodies and equal difficult between parts. 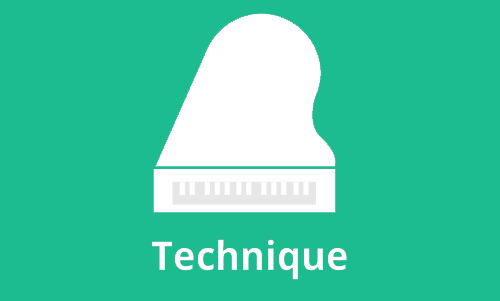 All ages will play cover to cover – ideal recreational, examination, recital or festival repertoire. 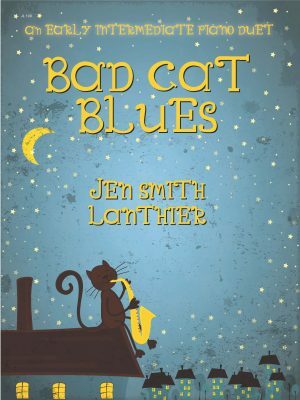 Fiddlehead Green is another delightful elementary piano duet (1 piano/4 hands) by Jen Lanthier Smith. 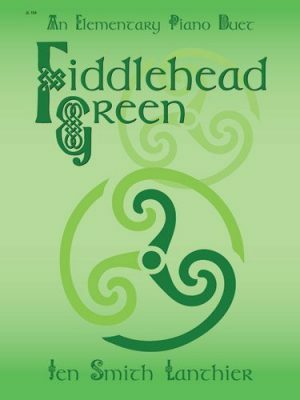 This energetic, ‘fiddle-like’ tune contains shared melodies, simple rhythms and easy to read scores. A wonderful recital or festival duet. 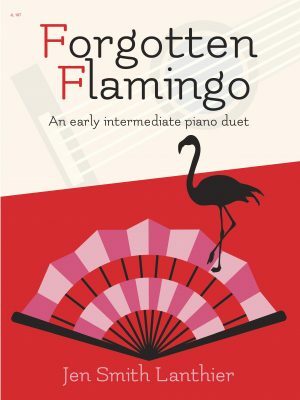 Forgotten Flamingo is another delightful early intermediate piano duet (1 piano/4 hands) by Jen Lanthier Smith. 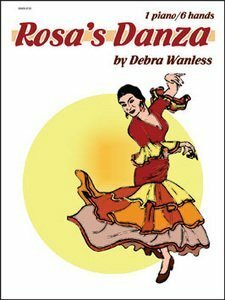 This ‘hot’ and expressive dance in written in triple metre with a staggered entry, shared melodies, rolled chords, dotted rhythms, and clapping and stomping. A great performance or festival duet. 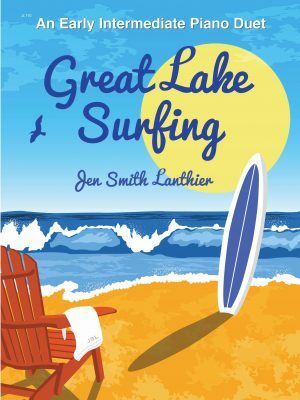 Great Lake Surfing is a driving and entertaining rock style early intermediate piano duet. Students will ‘rip’ through it with delight! 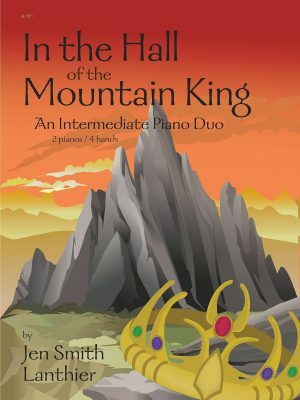 In the Hall of the Mountain King (Grieg) is a wonderful intermediate arrangement by Jen Smith Lanthier for two pianos four hands. 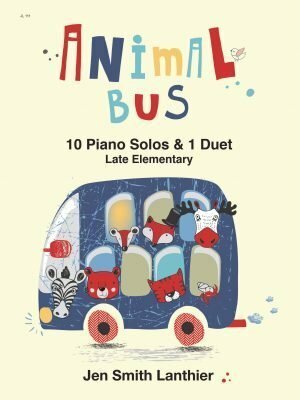 The shared melodies, staggered entry and simple rhythms combine to create an attractive yet manageable duo for young students. 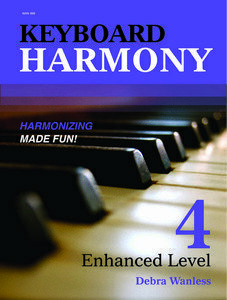 Purchase one copy for performance. 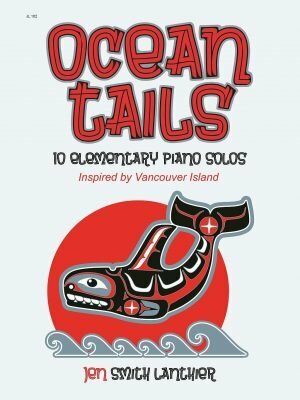 Ocean Tails is a collection of 10 elementary piano solos based on the composer’s travels to Vancouver Island, BC. 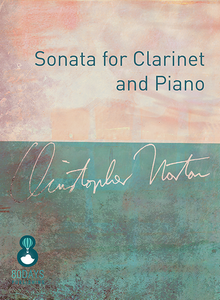 Pieces are attractive and written in the Ancient Modes and a wide range of styles. 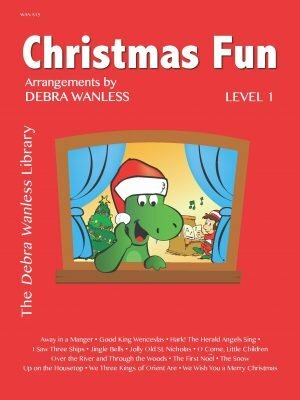 Titles include Starfish Strut (Aeolian), Ocean Tails and Banana Slugs (Dorian); Tally-Ho Trot and Harbour Buzz (Lydian); Tall Totems and Double Decker Bus (Ionian); Driftwood Shore and Stroll Through Beacon Hill (Mixolydian); Catherdral Grove (Phrygian). 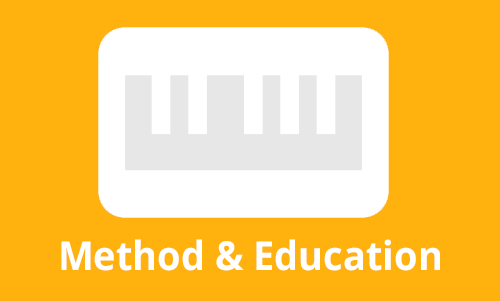 Ideal recreational, examination, recital and quick study repertoire. 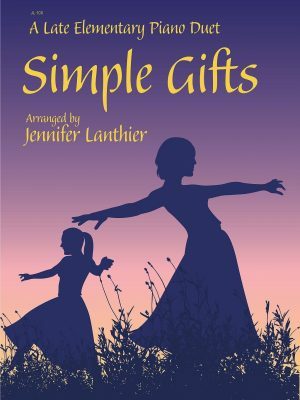 Young performers will love this beautiful arrangement of Simple Gifts. 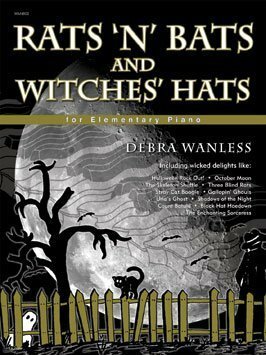 The shared melodies and beautiful harmonies combine to create an attractive ensemble. 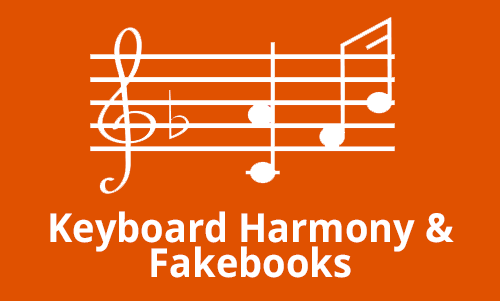 The staggered entry, simple rhythms, harmonic 5ths and easy-to-read score will make this a real hit at your next recital. 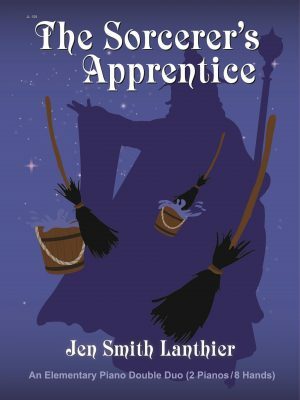 This arrangement of the ever popular Sorcerer’s Apprentice will delight your elementary piano students. 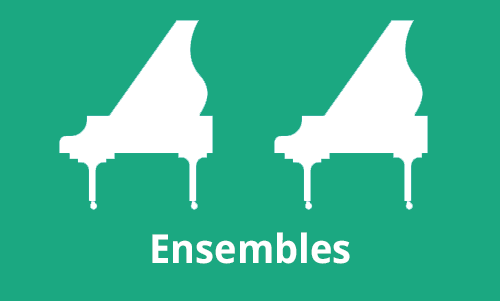 The shared melodies, simple rhythms and interesting exchanges create a great recital or festival ensemble. 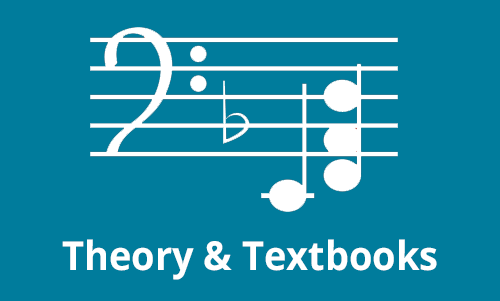 Students play from the individual pages on single stave reading (with hand designation) making performance possible with one score. 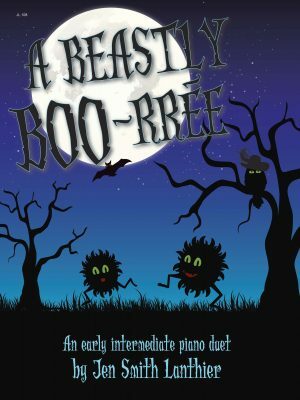 The Entertaining Mosquito is a fun late elementary piano duet (1 piano/4 hands) for easy to create -prepared piano. 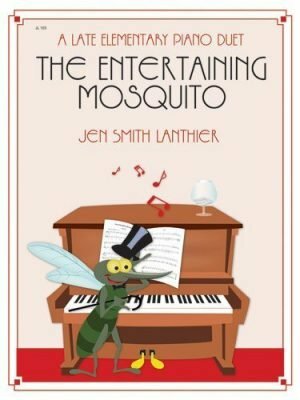 This Entertaining Mosquito buzzes through the addition of a small paperback book placed on the strings; he shares melodies and even quotes Joplin’s Entertainer. 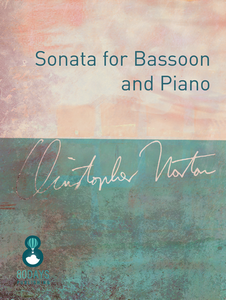 Audiences and performers will have a great times with this new duet.